Enabling any number of third-party systems to be integrated, monitored, and managed in a single unified environment, Synergy 3 mitigates risk and improves operational efficiency. With leading-edge redundancy and resilience, incident and evidence management tools, uncapped scalability, and a powerful data analysis engine at its core, operators using Synergy 3 can be confident they will have easy access to the right information when they need it to make the decisions that matter. Our flexible storage management options enable users to individually configure video stream frame rate, resolution, retention, and data rate – with real-time and time-lapse options – for storage optimization. Together with multi-nodal data replication/hot swap redundancy, edge-recording/backfilling compatibility, and automated SHA-2 evidential encryption, our storage and digital recording solutions guarantee high-quality video capture, failsafe retention, and absolute data integrity. Configurable to suit any control room, including industrial settings, Synectics Display Wall appliances enable the display of up to 32 live and recorded streams from HD, SD, megapixel IP cameras, DVRs, and encoders - including Synectics’ HD IP camera range. Synergy 3’s powerful command and control functionality can also be accessed with our range of clients and from outside the control room using a ruggedized Synergy Tablet, offering ground-teams or security patrol staff valuable support. 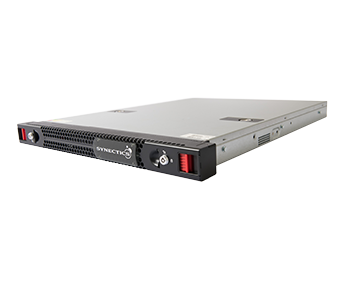 Synectics Synergy Server provides a secure and robust hardware platform for our Synergy 3 command and control software. An essential component of our end-to-end security and surveillance management solution, it is equipped with auto-rebuild functionality, dual power supplies, dual on-board gigabit NICs, and real-time, redundant hot swap server. Engineered by Synectics, and designed by decades of operator input and experience, our flexible range of Synergy 3 controllers and accessories has been developed to deliver performance to suit each individual control room environment. This includes our flagship, tablet-technology EX300 Control Suite, the fast and accurate EX250 Keyboard, and the compact plug-and-play EX100 Control Keyboard. Synergy 3 Transport offers intuitive access to camera controls, recording, video playback, and incident management tools in one secure platform. It is ideally suited to depots and back-office command center environments for transport operators, and easily integrates data from on-vehicle CCTV, telematics systems, and GPS solutions, helping operators improve passenger and driver safety, identify potential issues – such as fraudulent claims – and flag opportunities for operational improvements. 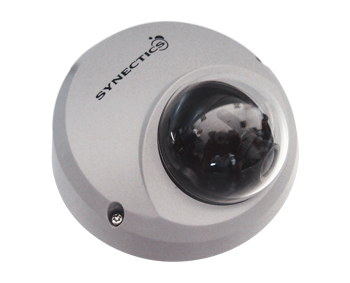 Synectics cameras deliver great performance in the most demanding surveillance environments. From IP cameras to COEX Specialist Camera Stations, our range of products offers the right blend of features and functionality to suit your needs. Synectics' on-vehicle camera solutions include analog, hybrid, and full IP systems. They enable operators to monitor fleets with ease and provide assurance to both passengers and staff. This high-resolution, external, CMOS analog camera, with polycarbonate IP67 housing, is ideal for mobile applications. It offers vandal-resistant, full 90-degree/360-degree coverage, in a lightweight, low power consumption form factor. 3.6mm and 2.5mm lens options are available. 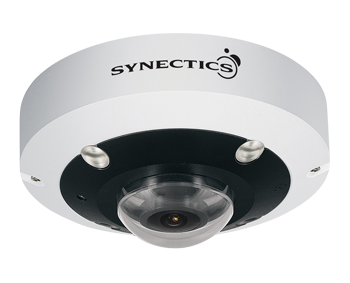 The Synectics HD IP Micro Dome is equipped with a Full HD progressive scan CMOS sensor supplied in an indoor enclosure, providing outstanding video resolution at up to 2MP. E-mark type approved for use in motor vehicles, including buses, the Micro Dome is ideal for mobile applications. This CMOS analog camera, with polycarbonate IP67 housing, is ideal for mobile applications. It offers vandal-resistant, full 90-degree/360-degree coverage, in a lightweight, low power consumption form factor, with an RJ45 Cable Interface System. 3.6mm and 2.5mm lens options are available. 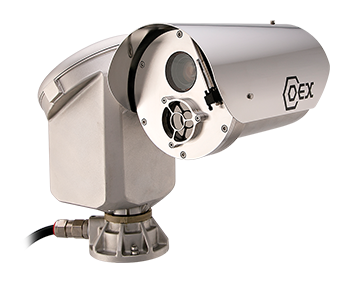 Suitable for all mobile applications where discreet, versatile surveillance is required, the Synectics Infrared Micro Eyeball Camera features 10x IR LEDs for 5~8m night-time coverage, a reverse image trigger, and full 3-axis adjustment in a vandal-resistant and IP66 weather-resistant housing. Download our white paper exploring how train and trackside technology is becoming more connected, and how to unlock the benefits of converged surveillance. Our white paper on surveillance camera trends explores the different technology options now available, and the pros and cons of each one. Forward-thinking transport operators are beginning to see the payback of integrating HD IP cameras into their surveillance solution. H.265 is the latest standard in video coding, but its implementation into enterprise surveillance environments may need careful consideration. Discover what this means, why device specifications still matter, and how to find the best solution for your needs.